When it comes to figuring out what varietal of grass to use, there can be many factors to take into consideration. Climate, sunlight and amount of rain can affect what type of grass works best for your outdoor space. Contractors specializing in lawn care can suggest the best grass for your situation and can do the seeding work for you. In addition, they can also do the aeration and fertilization. Even if you choose to mow the lawn yourself in the future, starting off on the right foot by having professional installation will save you a lot of hassle in the long run. A lawn care professional is the ultimate tool for time efficiency. Homeowners can spend hundreds of hours a year on upkeep of their yards. By taking over the regular maintenance of mowing, trimming and preventing insects and disease, you can focus on other things important in your life. While outsourcing the care of your lawn may seem like an expensive proposition, it can actually save you money in the long term. If you were to take on the full maintenance of your yard it would require the purchase or rental of many tools such as a mower, a leaf blower, rake and aerator among other equipment your yard may need. Lawn service companies work in bulk and these savings are passed on to you. A lawn care professional can do more than just mow your grass, they can save you money and give you peace of mind that your lawn is well cared for. 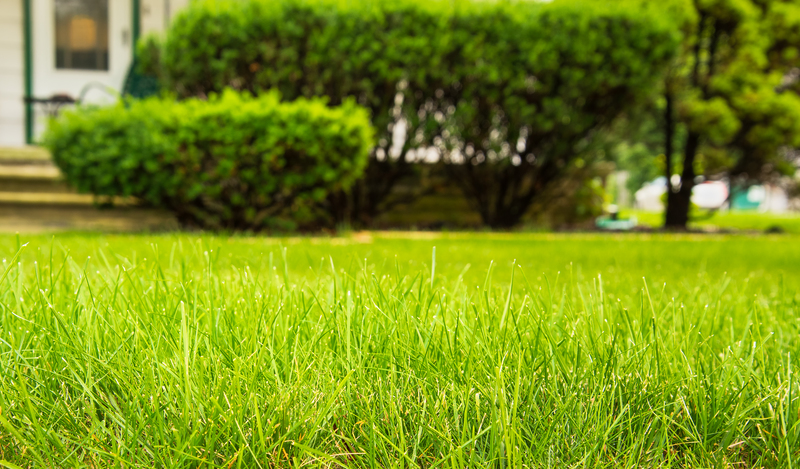 Think of a lawn service as a tool to make your life easier and more efficient.